Listen to this velvet slab of classic soul from the good Reverend Al Green. It’s “Take Me To The River”, a smash hit from Green’s 1974 album Al Green Explores Your Mind . The tune would be one of many in Green’s successful run with Hi Records, later to be covered memorably, if unexpectedly, by Talking Heads. 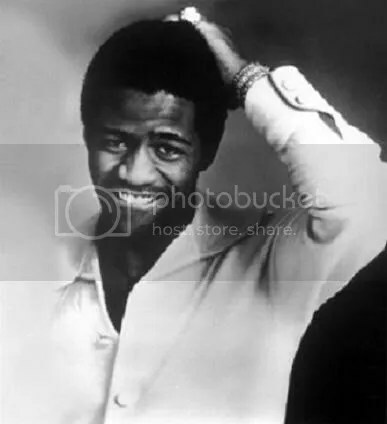 Al Green’s style represents something of a sea change in the way that Southern soul music was presented by the early to mid 1970s. The instrumentation and general approach is largely the same as it was during the classic Atlantic and Stax-dominated period in Southern soul five years earlier. But, there was a smoothness and lightness of touch to Green’s work, helped along by producer Willie Mitchell who has been rightly credited with c0-creating Green’s signature sound. Of course, with the rise of disco not far away, and the financial difficulties which would end Hi Records, this era in classic soul had a limited shelf life. Yet, listen to how funky this tune is, while at the same time being kind of refined too. Green certainly knew how to put across a lyric, and infusing it with emotion, without sounding as if he was trying very hard. And this is my favourite example of this. Also, Green took out a lot of the machismo of R&B, and revealed stories about guys caught in bad situations, feeling the pain of them, and giving voice to male vulnerability while still sounding manly and believable at the same time. This is a rare talent in any singer. But, Green brought style and sophistication to it. Mitchell and Green recently reconvened for a set of comeback records, after Green took a long hiatus from secular music to concentrate on his ministry. When not recording soul music in the classic tradtion, Al Green is the pastor at Full Gospel Tabernacle in Memphis.